A main goal of Nunataryuk is to determine the impacts of thawing land, coast and subseapermafrost on the global climate and on humans in the Arctic and to develop targeted and co-designed adaptation and mitigation strategies. Nunataryuk stands for “land-to-sea” in Inuvialuktun, the traditional language spoken by the Inuvialuit in the western Canadian Arctic. Most human activity in the Arctic takes place along permafrost coasts and these coasts have become one of the most dynamic ecosystems on Earth. Permafrost thaw is exposing these coasts to rapid change, change that threatens the rich biodiversity, puts pressure on communities and contributes to the vulnerability of the global climate system. 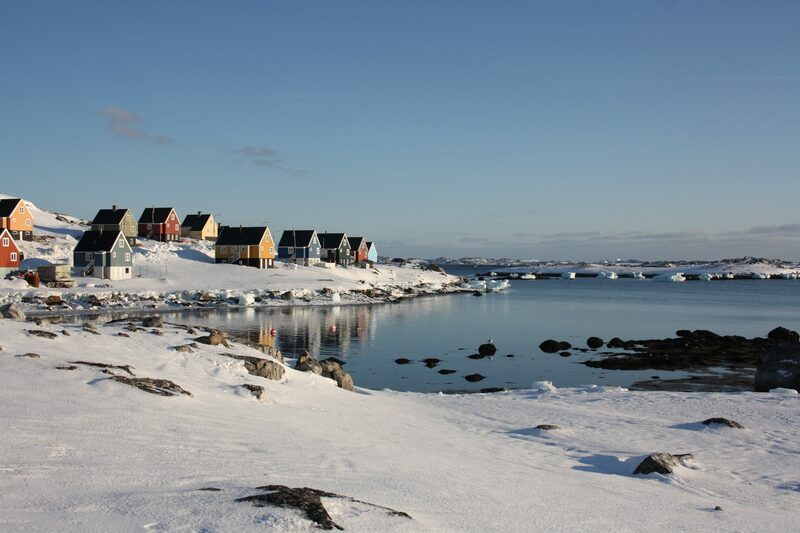 Nordregio is leading a work package on Natural Resources, Economy and Coastal Community Planning with the aim to investigate planning processes relating to the management of natural resources, eco-system services, and economic development. Socio-economic trends will be mapped in Arctic coastal communities to display current changes in occupation, education, migration, population and settlements. This mapping will allow for a permafrost thaw relevant dataset aspiring to understand social-ecological linkages between permafrost thaw and socio-economic change. An analysis of ecosystem services will support knowledge production of ongoing environmental change and how the changes can be with improvement of the present poor linkages between three domains: institutional, conceptual and policy tools. The categorisation of the systems of ecosystem services will follow the millennium Ecosystem Assessment (2005), which divides ecosystem services into supporting, provisioning, cultural and regulating services. Formal and informal economic activities for subsistence and non-subsistence economies, and for indigenous as well as non-indigenous communities are also part of the study and examples of economic quantification of the importance of ecosystem services will be developed to study these social-ecological linkages. The research on planning and governance will contribute to build capacity among local governance institutions by developing a framework jointly with the local-authorities to strengthen their ability to carry out strategic decision making under uncertainty. Such a framework will dwell on the most recent developments in the application of the principle of risk governance to coastal areas. Through individual interviews, community centred focus groups and stakeholder meetings, local discourses on permafrost thaw will be collected. These will be analysed using social construction analysis within the context of coastal and climate risk governance. The output of this task will consist of protocols that will enable local intervention in a way that considers local worldviews, values and material constraints for Arctic communities. Young people’s perspectives regarding future visions on economic development, entrepreneurship, educational opportunities, good practice of youth involvement and community development will be gathered and analysed. This will contribute to support communities by shedding light on the expectations of this group and will be considered in the overall future scenario building for Arctic coastal communities. To sum up, Nunataryuk brings together world-leading specialists in natural science and socio-economics to: (1) develop quantitative understanding of the fluxes and fates of organic matter released from thawing coastal and subsea permafrost; (2) assess what risks are posed by thawing coastal permafrost, to infrastructure, indigenous and local communities and people’s health, and from pollution; (3) use this understanding to estimate the long-term impacts of permafrost thaw on global climate and the economy. Nunataryuk will be guided by a Stakeholders’ Forum of representatives from Arctic coastal communities and indigenous societies, creating a legacy of collaborative community involvement and a mechanism for developing and applying innovative evidence-based interventions to enable the sustainable development of the Arctic. To read more about the project visit Nunataryuk website.